Our main business software products are included below. Each one is broken down in its own section. Please select the services and options you require and complete the purchase using the Paypal or Skrill icons provided. Simply click on the icons and specify the quantities needed in the next page. To add other products come back to this page and click on the icons as required. 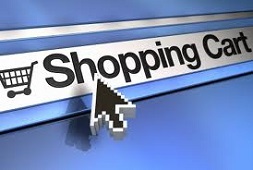 You then will be taken to your chosen service’s checkout section on their web site to complete your purchase. Please enquire with us if you wish to pay via bank transfer or are interested in purchasing lifetime licences of our programmes as it is possible to buy all our licences on a lifetime basis. Software demos can be downloaded from our site here. An activation key is sent by e-mail and orders are processed within 12 hours after a purchase is received. VAT is not applicable to any of our products and services. All our online order services are 100% secure and your privacy is guaranteed. All prices are given in GBP. Final conversion to your currency (e.g. USD, EUR) is done by Paypal or Skrill. All prices include a 4% transaction fee to partly account for the 5.6% the payment services charge for transnational transactions. There is no fee if payment is done via bank transfer. Please get in touch with us for our bank details. All prices are subject to our Terms and Conditions. Many thanks for your interest in our company. Full licence of TeleFactura for only GBP29 (USD39 – EUR34) a month with unlimited billing and support. It also includes a customer and reseller care Web portal called TeleFactura Web Access. Licences are valid for 12 months and can be renewed every 12 months. Please note this is a self-hosted licence. Add hosting for only GBP29/mth by going to point 11 below. This brings the total cost of a complete Telecom billing, support and hosting solution to only GBP48 a month. Click the trolley icon again to add another licence. This is for a licence with 12 months validity. The Admin version is a CRM for day-to-day data entry with no billing capability. Click the trolley icon again to add another licence. Licence for the Sage UK or Canada Accounts add-on. Please note this does not include a licence or support for Sage Accounts. It does include regular updates of the add-on. We can help you get a licence for Sage Accounts. Licence for the Xero Accounts add-on. Please note this does not include a licence or support for Xero Accounts. It does include regular updates of the add-on. We can help you get a licence for Xero. Licence for the Help-Desk add-on. It includes regular updates of the add-on. Licence for the Online Payments add-on. It includes regular updates of the add-on. Licence for the Radius AAA add-on. Please note this does not include a licence or support for TekRadius or Radius Manager. It does include regular updates of the add-on. We can help you get a licence for TekRadius or Radius Manager. This includes installation of TeleFactura, TeleFactura Web Access, database scripts, SQL database application and 2 CDR/SMDR formats of your choice. Please note this does not include importing and configuring other data, any work on Windows IIS or the installation of TekRadius and Radius Manager or any other software. Click the trolley icon again to add another installation for another licence of TeleFactura. This includes one-half day (4 hours) full induction and training on all aspects to do with the billing functionality of TeleFactura. It includes time to set up any data and configure your system to your needs. Four hours is usually required to go over the main billing application and so this does not include training on add-ons or the Web Access. For these or if you need any additional training, please add additional training to your trolley using the next point. Click the trolley icon again to add another set of 4 hours of training. This includes one-half hour induction and training on the programme’s customer care portal, TeleFactura Web Access, the add-ons or any aspect of our system that requires additional training. Please note this does not include training on TekRadius, Radius Manager, Sage or Xero themselves. Click the trolley icon again to add another half hour of training. Web hosting of TeleFactura by us (‘VPS Silver’). This includes delivery of a Windows VPS Server in the cloud and set-up of the following: IIS, Remote Desktop services, up to 5 TeleFactura and Windows user accounts needed, remote access of TeleFactura anywhere using any Web browser for all 5 users, all Windows updates, Firefox and Chrome browsers, Notepad++ text editor, Adobe Reader and 7-zip. The server can be used to host TeleFactura or any other programme or website. Typical specifications are 80GB HDD, 4GB RAM, 2 CPU, super fast 1Gbps DDoS protected connection and 4TB transfer, Windows Server 2012 R2 or later. This works out at a cost per month of GB29 and set-up GBP49. Add more Web Hosting power by adding option under heading 12 below. Click for more. Renewal of Web hosting of TeleFactura by us (‘VPS Silver’). This works out at a cost per month of GB29. Add more Web Hosting power by adding option under heading 12 below. Click for more. Upgrade to ‘VPS Gold’ with more Web Hosting power: Add 70GB HDD, 4GB RAM, 4TB transfer. Click for more. Full back-up service of your VPS server: set back-ups to run every day, week or month for only some of the files or save a whole image of the server. You have mislaid your activation key and wish to retrieve it. This is for customers who do not currently have any suport contract with us. A dongle is a USB key which can be used in lieu of an activation key to activate TeleFactura and is useful if you wish to use TeleFactura off-line. Please note this is only valid for customers who have a lifetime licence of TeleFactura. Your account needs to be re-activated. Please turn to our Cybercafe SurfShop mini site to place your order.